Do you ever just want to hang and craft with likeminded people? Would you like to practice more, but find yourself too busy to take the time to do it at home? Fret no more, here comes SocialJams! 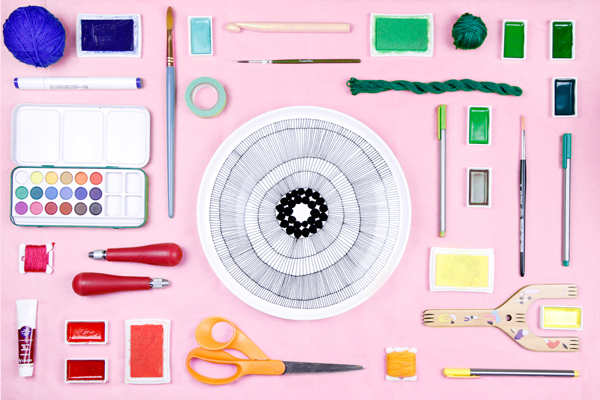 Get ready to BYOB and BYOC (bring your own craft!) as SocialJams are open gatherings where you can come together with other Jammers to work on your current craft projects! Having difficulty to finish that knitting project, looking to share tips on calligraphy tools you’ve been stashing? Our regular schedule of SocialJams will give you a chance to keep your practice consistent. And while you are working on your project and chatting with other Jammers, there’ll always be a JamMaster on deck to offer tips, inspiration, or a helping hand should you get stuck. As a special kickstart offer, all of our SocialJams are only $10 for the whole April!